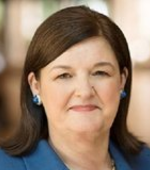 Sheila McGee-Smith, who founded McGee-Smith Analytics in 2001, is a leading communications industry analyst and strategic consultant focused on the contact center and customer experience markets. She has a proven track record of accomplishment in new product development, competitive assessment, market research, and sales strategies for customer care solutions and services. Sheila's professional accomplishments include authoring multi-client market research studies in the areas of contact centers and enterprise telephony. She is a frequent speaker at industry conferences, user group and sales meetings, as well as an oft-quoted authority on news and trends in the communications market. Sheila has spent over 35 years in the communications industry, since 1990 as a contact center industry analyst. Earlier in her career, she held sales management, market research and product management positions at AT&T, Timeplex, and Dun & Bradstreet. Sheila holds an undergraduate degree in psychology from Barnard College, Columbia University and an MBA in Marketing and MIS from the Kellogg School of Management at Northwestern University. Sheila serves as the Contact Center Track Chair for Enterprise Connect and is a frequent contributor to No Jitter. Follow her on twitter @mcgeesmith.